There is an organization in Canada called the Elder Project, which is setting up computers with free and open source software in schools, and we’re very happy to see that Qimo is a part of that! 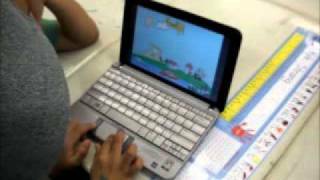 Below are a couple of videos from the project showing Qimo being used by a teacher on an overhead projector, and another with it on netbooks for the students. Good stuff and an incredible project, I encourage anybody in their area to get involved.